Tooth polishing is normally the final stage of the dental cleaning and scaling, along with certain other processes. This process removes the stains and polishes and smooths the tooth surface. Tooth polishingoften serves as the last step of dental processes such as the cleaning and scaling (deep root cleaning), or the restorative methods such as the replacement of a crown. Some stains are removed, as it polishes and smooths the surface of the tooth. As a final touch, our dentist polishes your teeth after the routine scaling, cleaning and planning process. Our dentist may polish any additional restorations installed, such as the crown or the composite. The dentist will use either a jet polisher or the rubber cup polisher. The polishing paste is contained in this cup, which is placed against the surface of the tooth on a rotating hand piece. Polishing the teeth takes out the fluoride-rich outer layers of your enamel to avoid the occurrence of teeth decay. Our qualified dentist will perform the polishing only to surfaces that bear the visible stains. Your teeth’s surfaces are polished using rubber cups, abrasive, dental tape, brushes, and polishers. This dental process removes the supragingival deposits. The paste used for polishing by our professional dentists has the minor particle masses than the area that needs polishing. Keep in mind that the larger polisher particle sizes than the composite area will tend to roughen the surface. 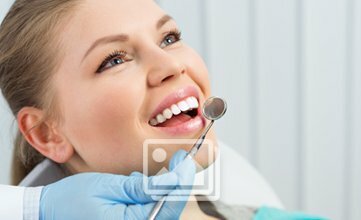 You will have the finest materials, technique, and the services when you come to us for your dental care. Tooth N Care dental clinic in India provides the tooth polishing facilities.